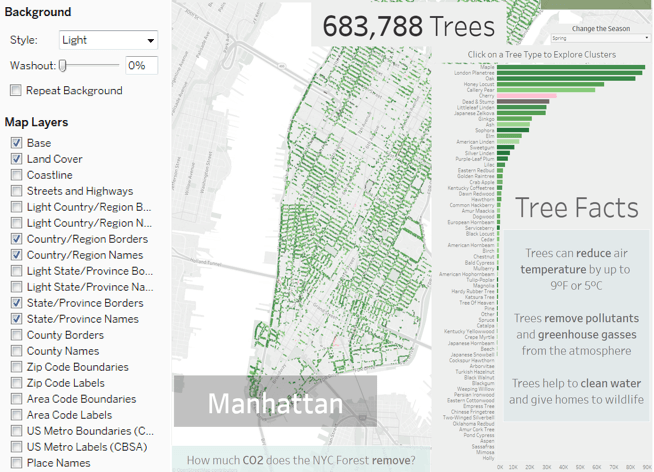 The most effective dashboards are insights-driven—and because many analysis projects involve some spatial data, working with maps is an important skill to have in your visualization toolbox. In this post, we’ll share 10 tips for improving the analytic and aesthetic value of maps for your dashboards. In Tableau, there are three basic map styles—light, dark, and normal—built in. For most mapping use cases, this is a great place to start. 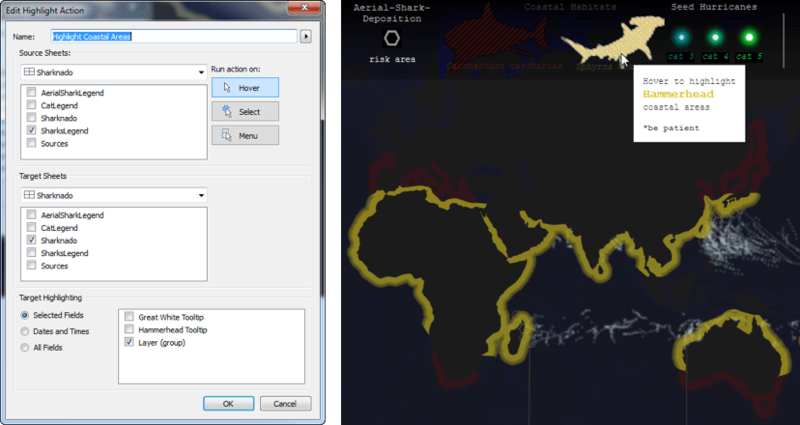 This dashboard by Andre Oliveira, “Graffiti Around the World,” uses a simple base map with custom labeling. 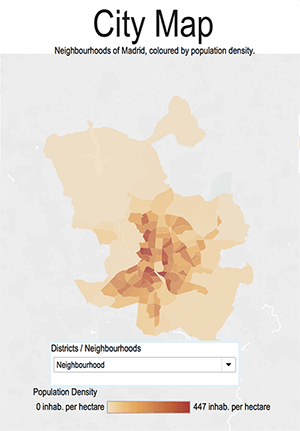 The layers are zoom-level dependent and, when the dashboard zooms to city-scale data, we see a clean and simple map with just a bit of added local detail. 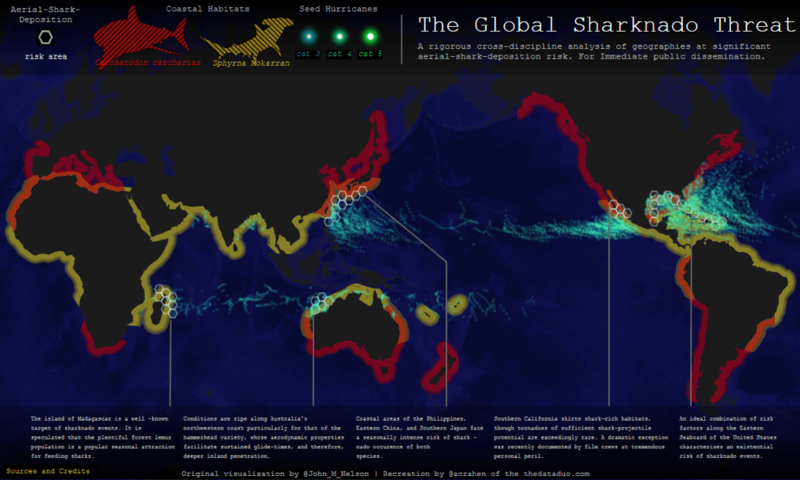 The color coordination between base map and data (as well as the introduction of great artistic detail in the “empty space” in the oceans) makes the map on this dashboard shine. A good visualization focuses the reader’s attention on the data, not the background, so occasionally it helps to let spatial data speak for itself—without a base map. When working with familiar locations and shapes—like all counties in a state, or all countries in a continent—there’s likely enough spatial awareness to remove the base map. I’m a cartographer, so you’ll rarely hear me say outright: “You don’t need a legend.” (Hence the asterisk in this tip.) *You don’t need a legend if you can use the other vizzes in your dashboard to clarify chosen colors, sizes, shapes, and symbols. 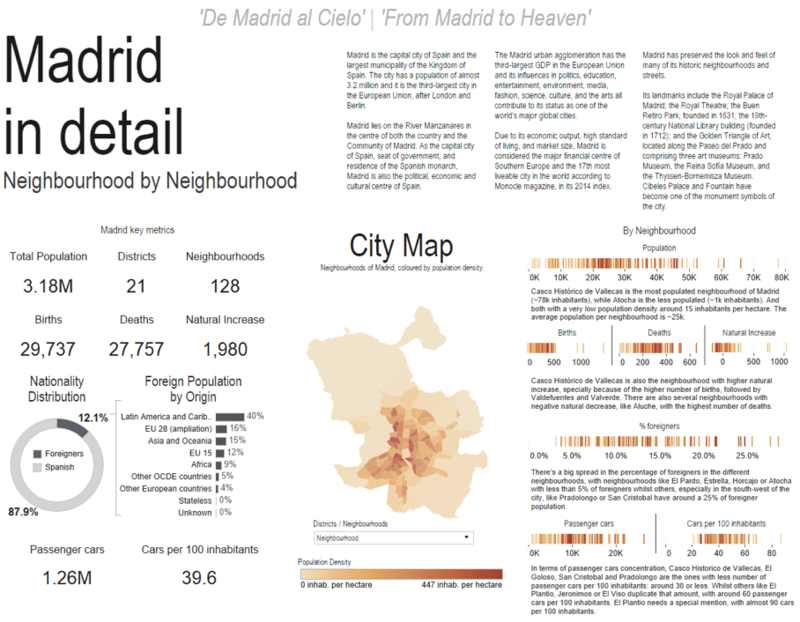 You can save a lot of space, and emphasize the connections between vizzes on your dashboard by working in vizzes as legends, where the meaning of symbols are explained through another interactive object. 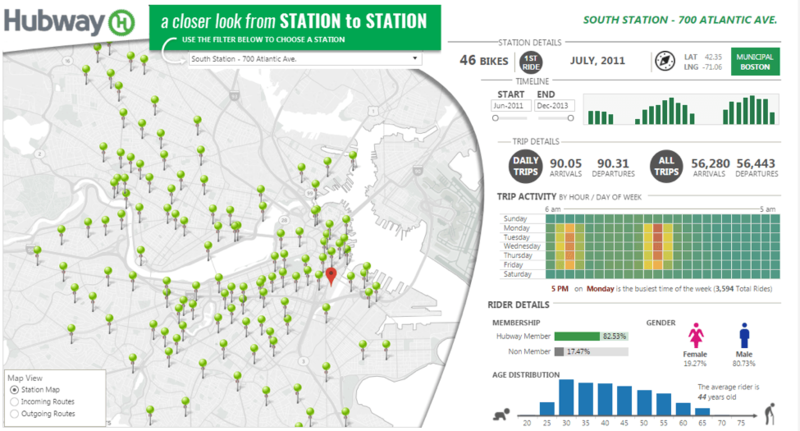 Similar to using a second viz as a legend, you can also think about how a map viz can serve as a filter to facilitate exploration on your dashboard. Geographic shapes can be better filters than dropdown lists of text. Not only do they provide a better visual cue of which region is selected, they also allow people to easily select neighboring regions of interest for deeper exploration. 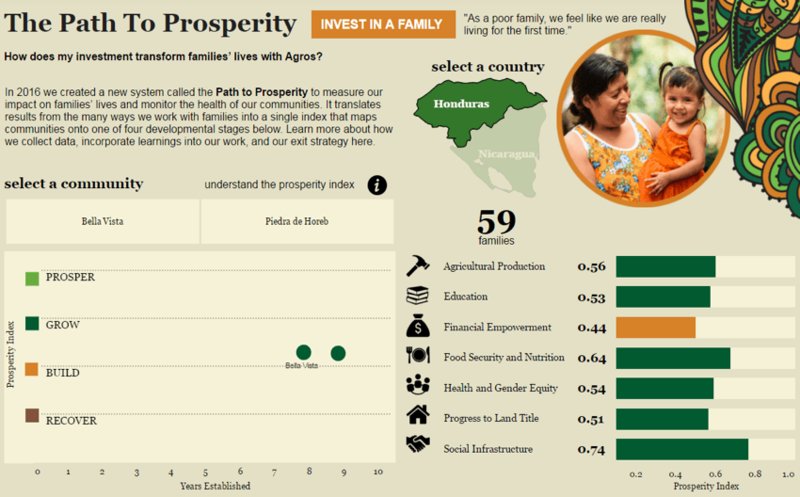 This dashboard by Decisive Data, “The Path to Prosperity,” shows how giving impacts the lives of people in seven different villages in Honduras and Nicaragua. This dashboard makes great use of a small map, used as a filter, between the two countries. It’s a graphic element that fits in with the design, and it’s a visual reminder of the relative locations of the highlighted countries. Tableau is magical when it comes to setting up highlighting actions across worksheets, so take advantage of these in your maps and dashboards. Ken Flerlage's dashboard’s exploration of gerrymandering in the U.S. makes sure that readers can stay oriented on each of six different maps with different boundaries, to help readers understand how political districts have changed over time. 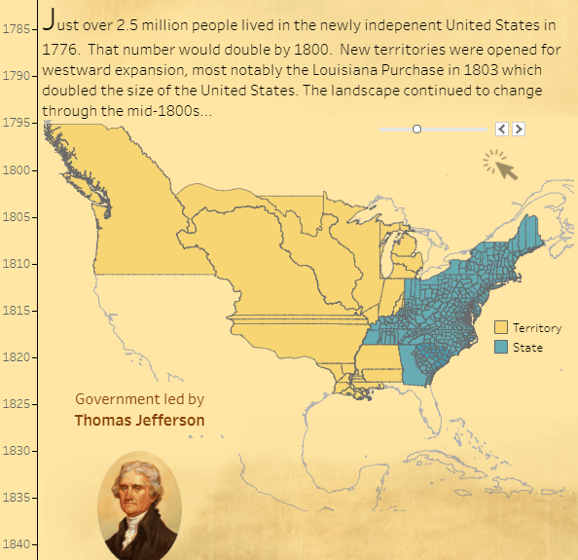 You can see where the color picker helped Joshua Milligan's dashboard, “The History of the US,” as the Viz shows off this tip by using a parchment-looking background in the viz. Also, for your data, make sure that the colors that you use have the same values across all of the vizes on the dashboard. Inconsistently replicating colors will make it nearly impossible for most readers to correctly interpret the data. 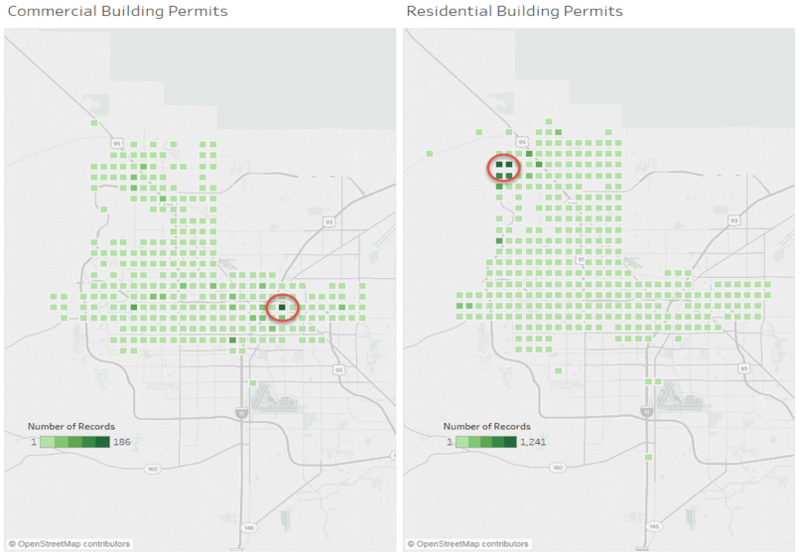 Consider an example where we compare the number of commercial and residential building permits issued around the Las Vegas, Nevada area. If we use the default color encoding for both maps we have a huge difference in the meaning of the green shades because there were so many fewer commercial construction permits. If a reader isn’t paying close attention to the two legends, they might assume that there were the same number of permits issued in the two circled locations – even though there really were over 1,000 more residential permits in the densest area! Sometimes the most effective data maps tell little white lies—and that’s okay! 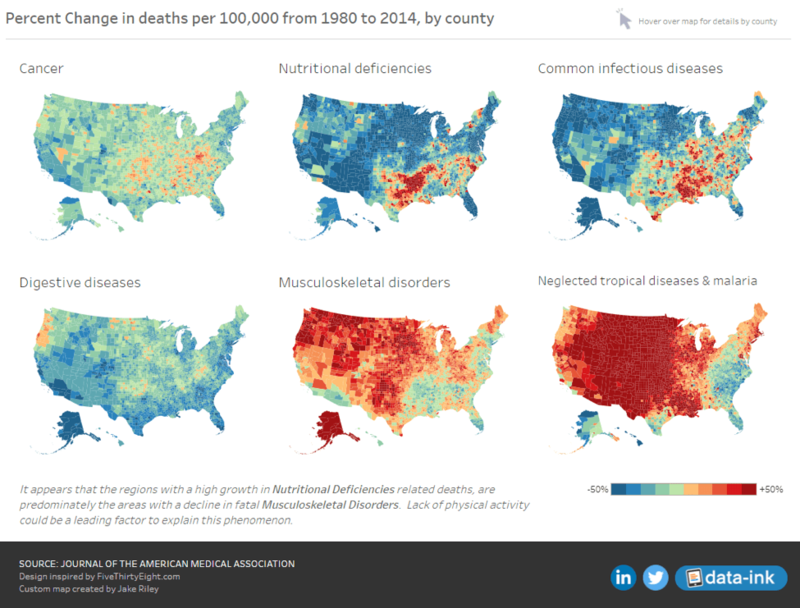 In this dashboard by Josh Tapley and Jake Riley, which shows causes of mortality around the U.S., the author moved Alaska and Hawaii to new locations so that the view of the U.S. fits in a smaller footprint. 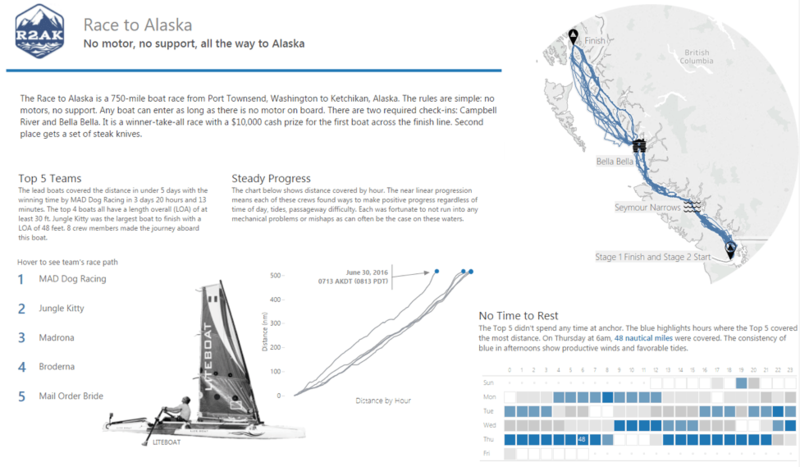 In Tableau, using “inset” maps allows a user to interact directly with the data in a single worksheet, instead of having to use separate worksheets for the continental U.S., Alaska, and Hawaii. The authors adjusted the map projection to provide a different look than the normal base map. If you want to try this out in your maps, take a look at this community discussion on alternate projections (and moving geography) in Tableau. For more inspiration, check out this dashboard on energy sources for U.S. states using a hexagonal grid, or this exploration of crime in the U.S. using a square grid. 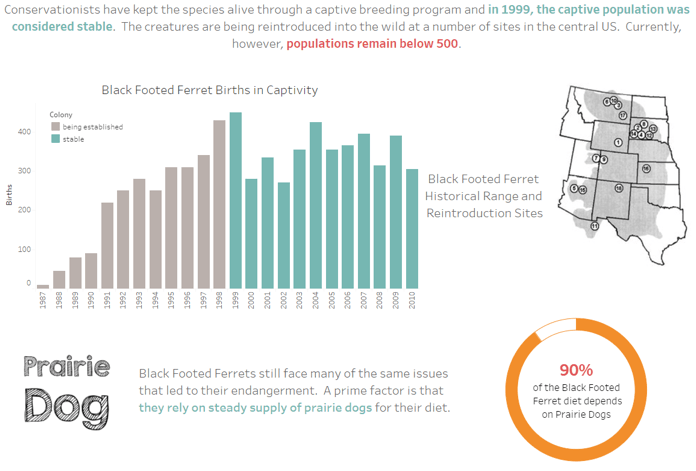 Sometimes a static graphic is all that you need to tell the whole data story. For something simple, where the map is just a reference and doesn’t need to be interactive, consider using just a graphic instead of a worksheet. This prevents the user from accidentally changing the display, which is particularly useful for those exploring data on a mobile device or small screen. Locking the extent of the map is easy to do, just select Map > Map Options, and then uncheck the “Allow Pan and Zoom” option. 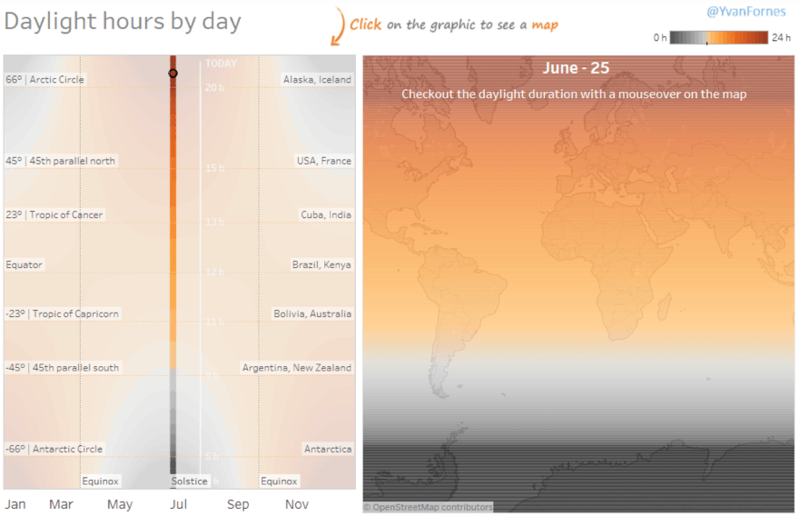 Here is a great example by Yvan Fornes of how this tip can help communicate the data story—which in this case is the number of daylight hours by location. Please give credit to the authors who created each of these visualizations. We all put a lot of work into these. Thanks. Thanks for your feedback! We've updated the blog to make sure each author is given credit.